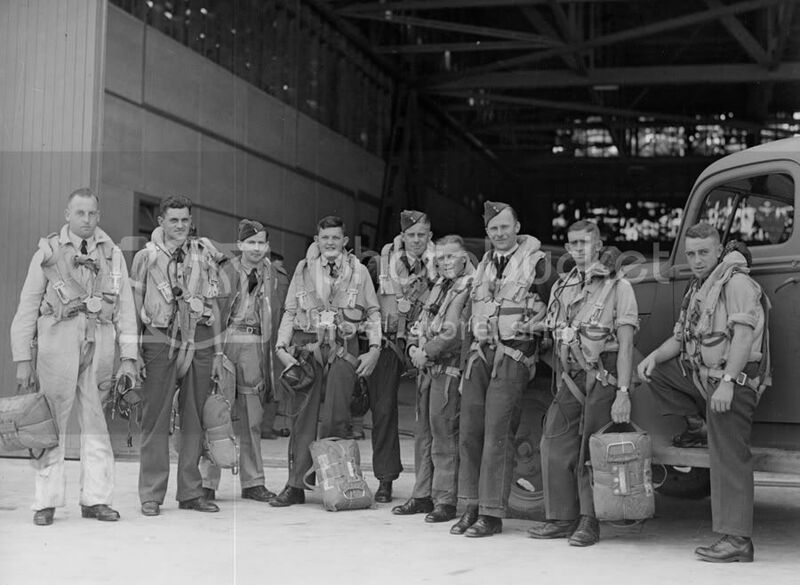 The chap on the left seems to be wearing the early war white flying overalls, which many RNZAF instructors wore. 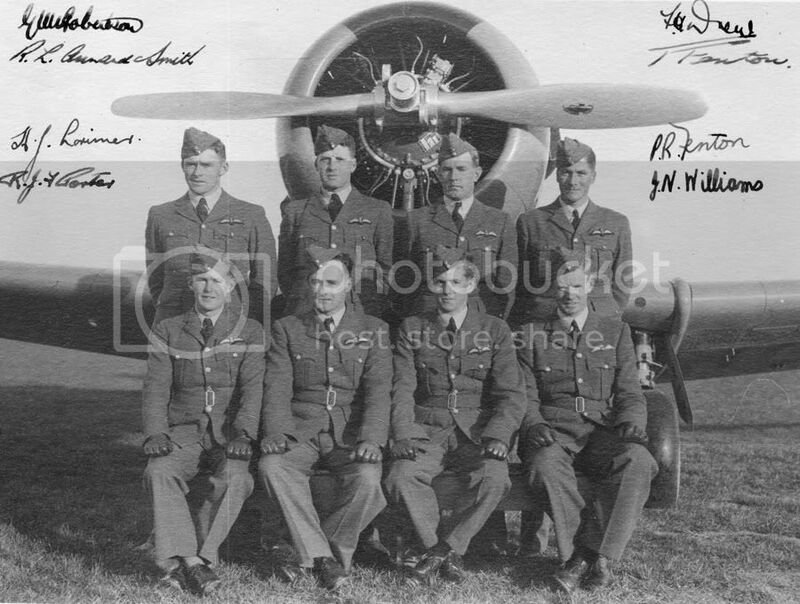 Also the chap third in from the left, what is he wearing that looks to come down to his knees? Is it a raincoat? Aswell as the hangar appearing to be not so long and having a back wall, the door looks a bit odd with the wood panelling (? ), rather than the steel sheet normally seen. Did Hobsonville have hangar doors like that? 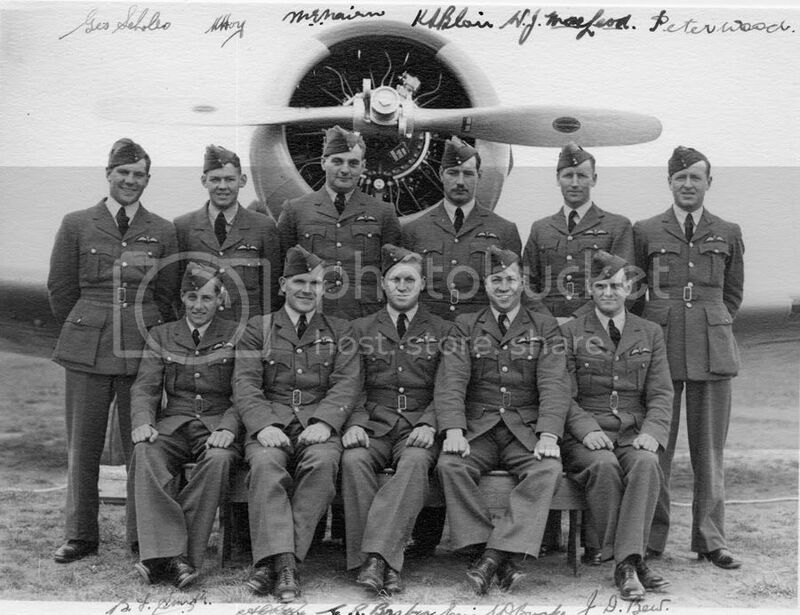 As they all have the chest type aircrew chutes I wonder if they were Oxford instructors, or maybe they were on No. 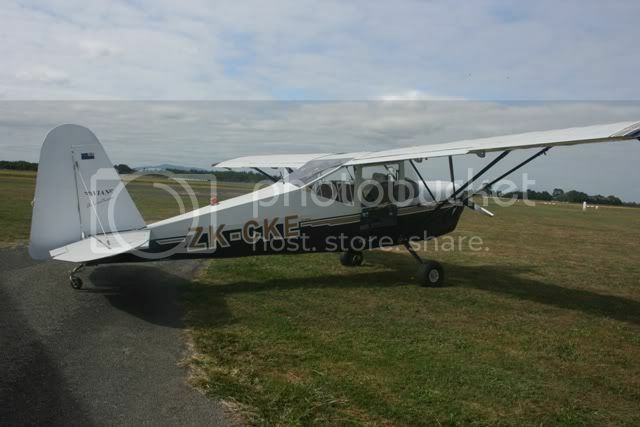 3 Flying Boat OTU at Hobsonville on the Walrus? They all have such recognisable faces, if only someone out there could recognise them. It's a great photo by the way. OK, another question regarding that photo (curse you Shamus! ), the windows seem to be in the roof, could it, therefore, be No 1 hangar at Hobby (the one that faces along the apron) as it has the "saw tooth" type roof line? I can only find photos of it in the background of a couple of aircraft shots (one of Harvard 1013 and the other of the Cutty Sark and another in Paul's Golden Age book of a Fairey IIIF) unfortunately the doors panelling is not clearly visible in either shot but the doors are the type that open "around the corner"and lie back along the side walls. Those concrete hangars at Hobby have lift up doors like Wigram don't they? Maybe that explains why a metal roller door is not present? They may be lifted up out of shot above the photo. 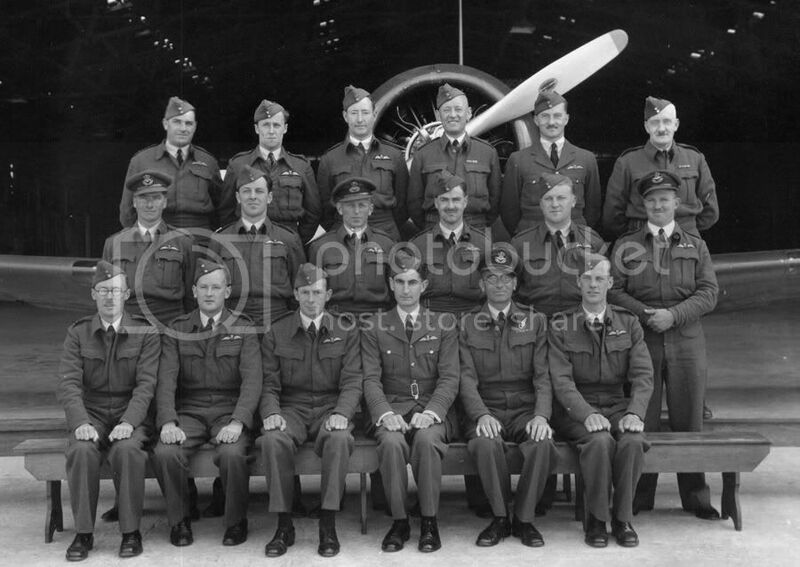 look at photos of No 1 hangar, Dave, thats the one on the apron that faces along the apron not out to the water, and yes, the concrete hangars have the cantilever doors, no windows in the roofs and big windows along the walls, none of which match those in the infamous photo. Also the concrete hangars don't have all the truss work in the roof. I would agree that this building looks bigger than the gym hangar, which was only big enough for a standard sized basketball court inside. I have been wondering, are those dirty windows in the back. or are they actually items stacked on pellets on shelves perhaps? They look a bit random to be windows. I recall that No. 7 Hangar had a dividing wall between the museum end and the Camp Pack Up/Air Movements end at Wigram which had a wall of pelleted stores. Just a thought, probably wrong. The roof trusses in the photo appear to be wood although there is a"V" coming out from the wall which looks to have slots cut in it. Is the dirt on the windows foliage up against them from outside? Although the upper windows appear to be in the roof. If it is not Hobby where could it be? The hangar at Tairei has steel trusses, "X" bracing on the walls and the windows in the door are so near the edge they would show in "the" photo. Do we have any experts who could tell us more about the truck? 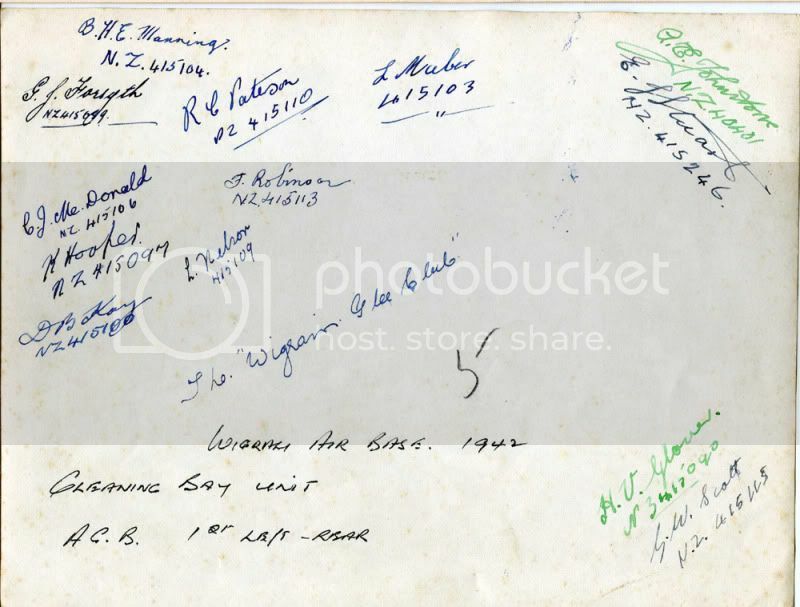 I wondered about foliage too, but the only RNZAF station with trees big enough at that time would be Hobby or Wigram, so it would have to be an impressed hangar. What about Milson's hangar, or was that destroyed pre-war? Rongotai maybe? The internal office wall looks way taller than the standard RNZAF tin hangar design too. Behind the truck is the wing of some aircraft - going by its height and the leading edge slots, I'd suggest a Hudson. does that help? Actually, just had a good look through the "Hobsonville" book (Bee Dawson) and could fins photos with the each of the Hobby hangars visible in the background. None match the various visible features in any way. Did Waipap have a proper hangar with a concrete hardstand like this? I've never seen a photo of a hangar there but assumed that they had a more temporary one, with the oiled soil floors (like what many of the hangar floors had incluing No's 6 and 7 hangars at Wigram). Anywhere else would be a temproary hangarage/passing through. 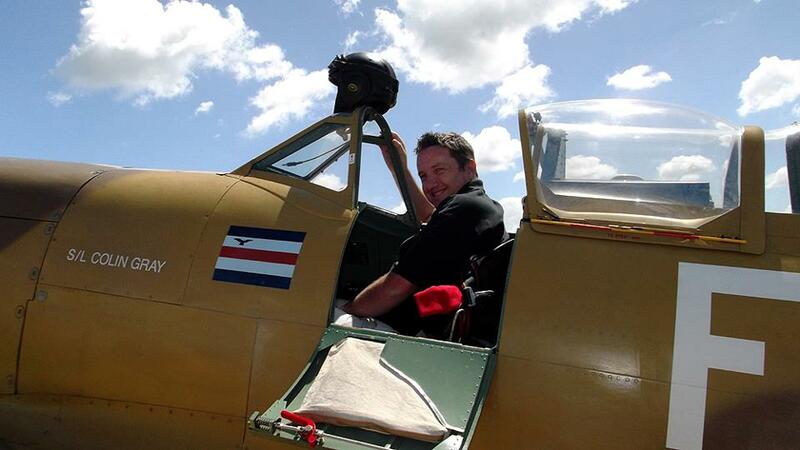 Maybe they are test pilots at Rukuhia, thinking outside the box a bit more. 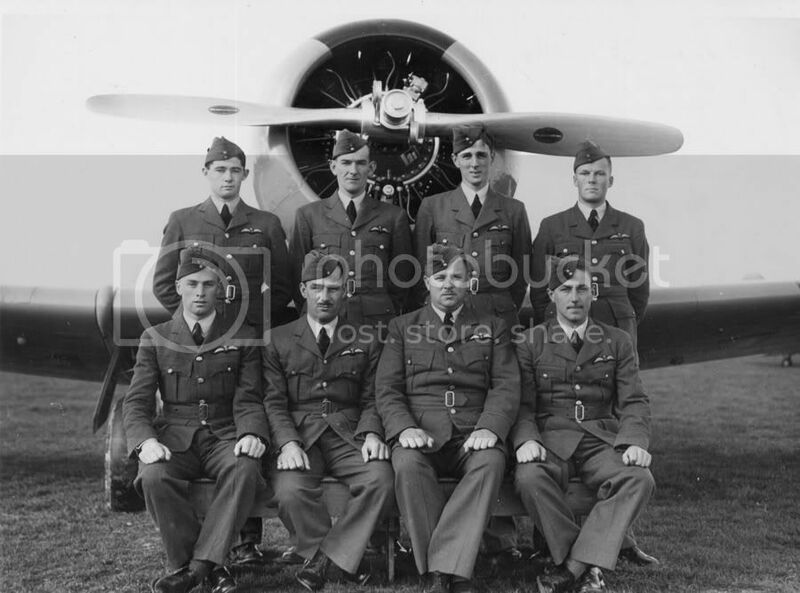 The photo with the hangar that we are discussing, comes from the Ted Harvie collection. The truck looks to me to be a Ford V8 from 1939 to 1946 vintage. Apparently all the cars and trucks during the war were similar (Ford that is), no new designs till after the war was over. Wow, do you own Ted Harvie's whole collection? 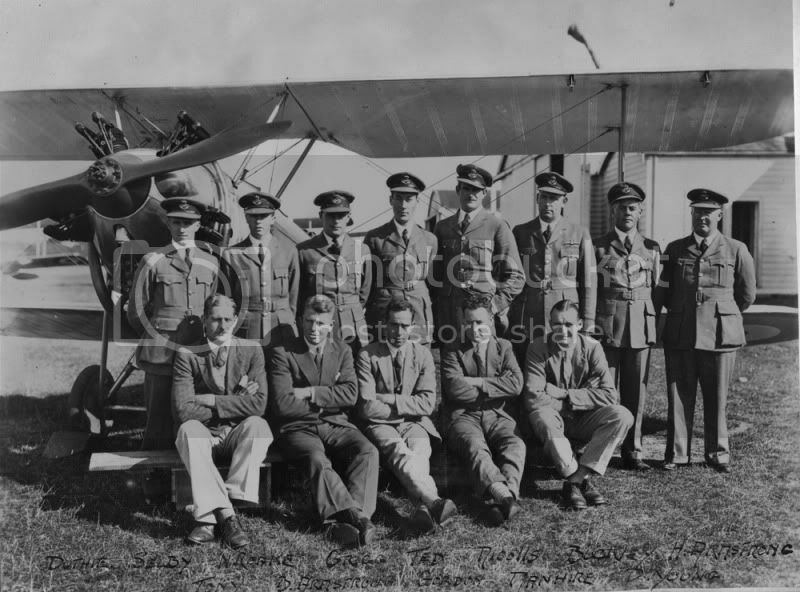 He was based from 1939 at Taieri and was there till he became the CFI of the RNZAF in 1941 and went to Tauranga to lead the Central Flyng School of the RNZAF. 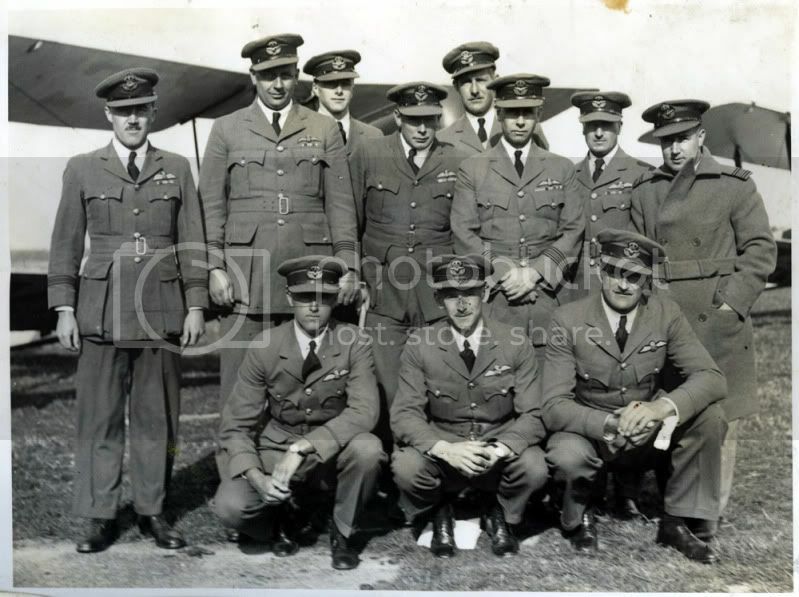 He was posted to Canada in 1943 and then onto the UK in 1944, and on his return to NZ in 1945 was back at Taieri as CO of the Pilot grading School and the Station Commander. So my guess is it is Taieri or more likely Tauranga and they are CFS instructors. 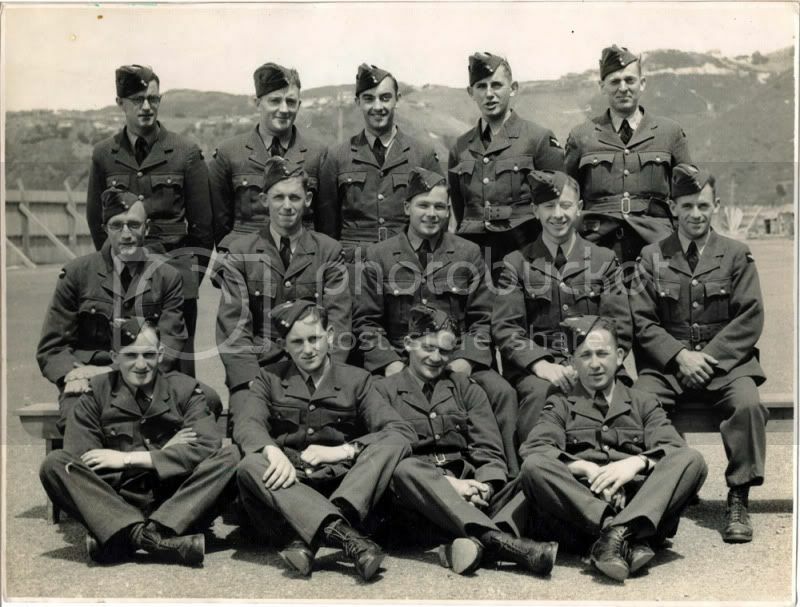 In the above photo this has Len isitt in the centre rear, with the stoop, and over his left shoulder is one of the Firth brothers, not sure which as they were near identical but either Ted or Tony. The other brother is kneeling in the front at right. Is the chap standing on the left perhaps Nugget (aka Ike) Cohen? 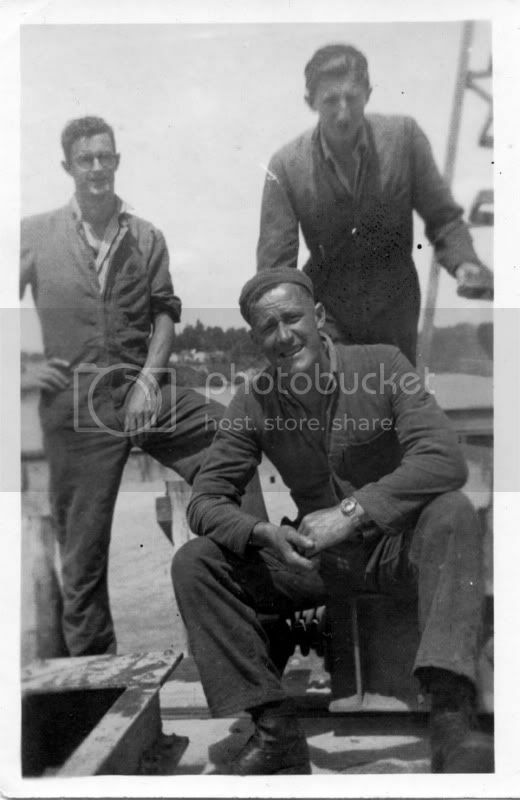 And I think the guy kneeling in the centre could perhaps be Ivan "Jack" Rawnsley. Not sure. If anyone is interested in a particular unit maybe they can post a request here for group shots too in case someone has one. One question, How come the photo of the Cleaning Bay Unit is labelled as being Wigram when the photo is clearly taken at Rongotai? WOW, Dave. 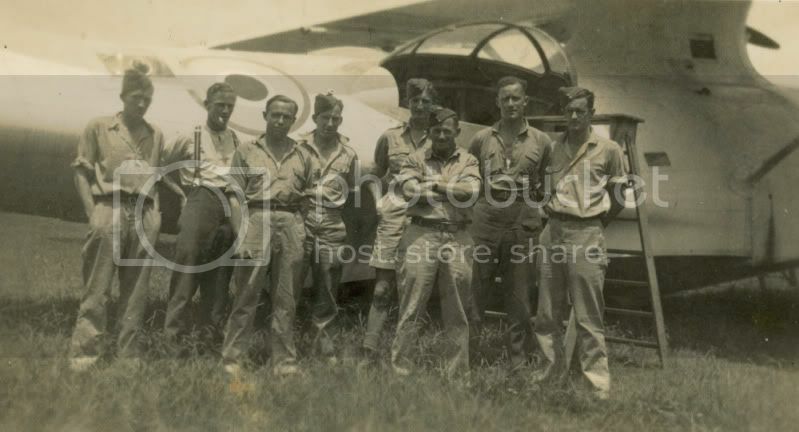 Those pre-war group photos are real gems. Great that we have this Forum so everyone can see them. This first one has no names or identification on the back. On back, No 12 course. 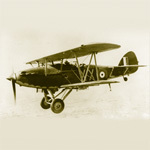 Another unidentified photo, Official RNZAF. I'm glad someone likes them as much as I do. There are more, and some really great shots in the collection, but I'm holding a lot back from publication as I hope to put some into my book. The guy I thought may be Nugget Cohen was suggested to me by Sally as being Keith Caldwell. At first I agreed but on second thoughts he's only a Flying Officer and Grid was the head of all the NZAF, so it can't be him. I too have wondered why the Wigram Cleaning Bay guys were at Rongotai. Alex was certainly based at Wigram in that section. Maybe they all did a course together there? Those Harvard shots, are they from Ted's collection too? Are they Flying Instructor courses?